Greece's foreign ministry will host an international "Forum of Ancient Civilizations" in Athens on April 24 (Monday) in a bid to promote cultural heritage and cooperation between the 10 participating countries, it was announced on Tuesday. The forum is an initiative of Foreign Minister Nikos Kotzias and invitations were sent jointly with Chinese counterpart Wang Yi. Apart from Greece and China, the countries invited are Egypt, Bolivia, India, Iraq, Iran, Italy, Mexico and Peru, who represent ancient civilizations such as the Egyptian, the Roman, the Persian, the Chinese, the Mesopotamian, the Mayas, the Incas, and those of the Indus Valley. The ten countries represent more than 40 percent of the world population and are at the center of international political developments in the Americas, Europe, Asia and Africa. In the invitation sent by Kotzias and Yi, the ministers stress the common vision to utilize cultural heritage to promote friendly relations, international cooperation, peace, stability and prosperity. The achievements of the past gain increasingly more value, not when one rests on one's laurels, but when they are utilized to form a better present and a more hopeful tomorrow and this is the aim of the Forum, it was stated. According to diplomatic sources, this is a very important international project as countries from four continents will meet around the same table for the first time for a cultural initiative, aiming to form a "positive agenda" of cooperation. The same sources said culture today is associated with soft power which, when rightly used, can highlight a country's international image and become an important source of economic power. 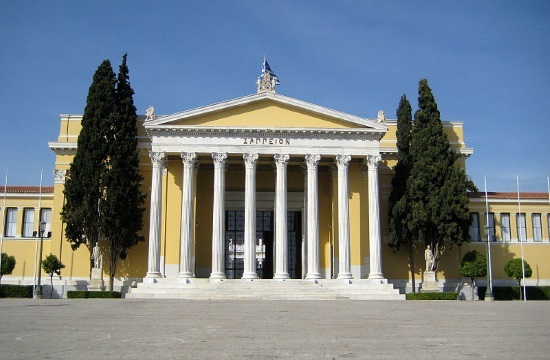 The forum will be held at Zappion Mansion in central Athens.